Following the company's design language, these products are designed to stand out and look good. Whether you are looking at an electrical outlet, a dimmer, switch, or shutter control, all of the products are circular. Many of the products also feature a lighten ring around the outside, which is also something the company has been known for in their existing wall plug line. They even offer matching outlets for cable, Ethernet, and USB. FIBARO has also updated its Home Center app. The new version brings with it a much more streamlined interface, designed to make using the products easier. More importantly, and certainly most interestingly, the app has added into it machine learning and analytics. The app is able to learn the user's behaviors and find and suggest new scenes that could improve their daily routine. For example, if you regularly turn on two sets of lights right after unlocking your front door, the app might be able to create a scene for you to automate that process. 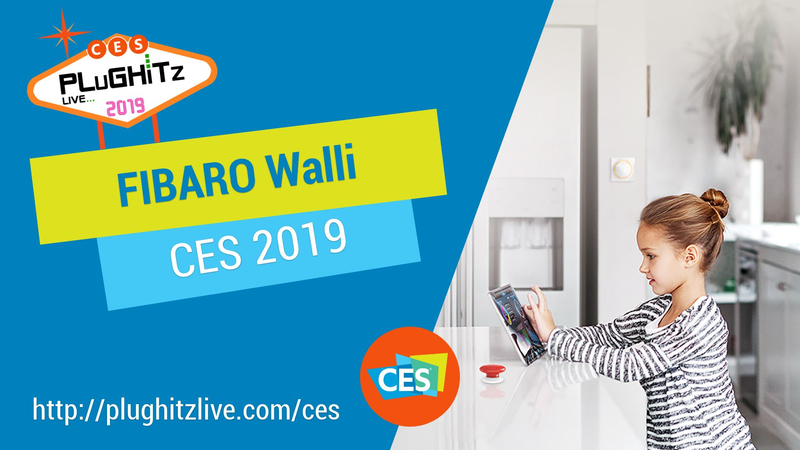 The Walli line will be available soon in Europe, with a planned launch in the US in late 2019 or early 2020. FIBARO's other products can be found on Amazon.